The word “reflection” is associated with the process when a given individual thinks about him/herself. When we perceive ourselves, it is a process resembling one looking at his/her reflection in the water. Human beings are the only ones who are able to think about themselves, to think in terms of “I” and “me.” Every branch of intellectual activity involves reflection. The same can be said about written assignments - especially in Social sciences reflection is an important feature of your work. To reflect means to be able to grasp your own feelings, thoughts, experiences, perceptions, and then to analyze the object before your mind. Hence, a reflection always involves self-reference as well as reference to external objects. A reflection paper is not something precisely defined. It does not follow a given set of rules - unlike the five-paragraph essay, for instance. 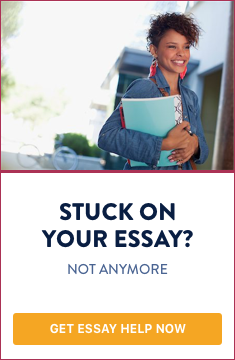 You can write as long as you are able to (and you have something new to say), but of course there are some restrictions related to the essay’s length. Hence, you should ask your English teacher for precise specification of what they require from you - length of paper, minimum number of paragraphs, whether to include bibliography or not, whether quotations are allowed or not, etc. Your reflection essay needs to have a clear and concise topic. You cannot just write anything coming to your mind. It is recommended to choose a topic which is interesting for the potential reader, and is also related to your own experiences and thoughts. This could be a topic which has interested you for long time. Advice: your reflection essay topic should not sound too academic, for example like “Social factors for internet social networks addiction.” A good title would be: “Why do people prefer internet social networks instead of live communication?” Such a topic is good because it contains the thesis (or part of it), or at least points directed to a question. When did I enter an internet social network for the first time? What I felt then? How my experiences related to internet social networks have changed over time? What made me create a social network account (motives, factors)? How did my friends and parents react to this? What were its negative consequences? And last but not least - it is necessary to have some theoretical look at the problem you reflect on. It is recommended to be familiar with at least one central theory which explains the process you are writing about. This stage could last one or two weeks, depending on the time you have to finish your reflection paper. Do not forget to write down everything important coming to your mind. Human brain needs some “training” in order to reach useful conclusions. Here is the place to gather all important insights and ideas which the previous stage has brought about. Your outline is centered on the main idea of your reflection essay (or thesis, see below). It should include all main points related to it: arguments or counter-arguments, examples, references to theories, etc. In this way you will be able to see how your reflection paper looks in general. Remember that the outline of your reaction paper is of use to you only, thus your teacher will not require it from you. You can modify it according to the insights you have. By reflecting more on the problem, you may arrive at subtler conclusions and new views. Since this is a reflection paper, you need to discuss a given idea from different angles. But in order to do this, you have to formulate a thesis. Your thesis needs to be supported by arguments - empirical evidences, real situations, or statistics. The thesis should be clearly stated and should contain all the key words of your paper. It does not have to refer to particular arguments or involve additional theses. A thesis related to the topic formulated above could be: “There are social and psychological factors for one becoming dependent on internet social networks. Most often people search for social recognition or self-assertion. They are easily achieved in virtual space.” The key words found here are the following: factor, internet social network, recognition, and self-assertion. You can add more to your thesis, of course. As you see, you can only indicate two types of arguments you will refer to, but not to formulate them within the thesis formulation. An argument is a particular assertion which is directly related to the thesis. In this case, you can take empirical material and present it to support your thesis. These could be two real-life situations derived from your own or someone other’s experiences. To be sure, it is good to use information which is reliable, i.e. not derived from internet forums (there you can find many fake “stories”). You can employ academic literature (some case studies), or to ask your friends about their experiences. Remember that the arguments support the thesis, and not vice versa; if you cannot find any good arguments, this means that your thesis is wrong! A reflection essay has to contain different points of view in order they are compared. It is recommended to have at least one view different from your own, let’s say this could be the assertion: “Internet communication improves communicative skills.” Then you need to repudiate this standpoint by showing cases where communicative skills deteriorated due to excessive internet social networks usage. A reflection essay has to contain different points of view in order they are compared. It is recommended to have at least one view different from your own. Advice: do not merely say that the thesis of Prof. X is wrong. You must prove that it is really wrong. Besides, do not use personal attacks (ad hominem) or emotional arguments (speaking about feelings instead of facts). You are not obliged to employ academic language while writing a reflection essay. Of course you can use some academic terms, but not too often. You are also allowed to speak from first person, especially when telling about your experiences and feelings. Your English teacher will be glad to see you master the English language and have an exquisite style of expressing yourself, hence try to use less simple words and more complicated phrases (whose meaning you are familiar with). (Context) Many young people today are living virtually. They communicate via internet social networks even when they are at a party, at disco, etc. What are the causes of this? (Thesis) There are social and psychological factors for one to become dependent on internet social networks. Most often people search for social recognition or self-assertion. They are easily achieved in virtual space. (Argument 1) The social factors include the need to be recognized or admitted into a given group of people - age peers, classmates, or others. When I created my Facebook profile I was curious what it is like to have many Facebook friends. I wanted to make new friends, to know about the others, and to tell more about myself. (Argument 2) The psychological factors often include searching for consolation and compassion from the others. There were cases when I shared all my thoughts and feelings on Facebook because I was looking for compassion and understanding, something which was difficult to do with my classmates or relatives. (Counter-argument) Some of my friends say that they feel better when communicating online. They also claim that their communication skills have improved. I think this claim can be easily repudiated - statistics shows that excessive online communication deteriorates real communication skills (here you have to present the statistics). (Conclusion) There is an ongoing debate on the topic. I believe that online communication can be useful when it is not excessive. While meeting my friends, I rarely look at the small screen of my phone. I always try to communicate with them as much as possible.